In Jun 2018, the Wi-Fi Alliance launched the all new WPA3 Protocol for Wi-Fi networks. For the uninitiated, Wi-Fi Protected Access or WPA protocols are data security protocols. They protect data over Wi-Fi networks, including network passwords. WPA2 was introduced in 2004 and protected the password on a Wi-Fi network. It was an upgrade from WPA (WPA1) and WEP technology. The need for WPA3 arose when Belgian Researchers breached WPA2 protocol in 2016. This highlighted the possibility of internet security exposure. WPA3 will need the hacker to interact with your Wi-Fi for every password guess. It will make the password harder and time-consuming to crack. The open Wi-Fi networks pass much of your data unencrypted, which makes them very insecure. With WPA3, your individual data will get encrypted on open Wi-Fi networks too. It will make these networks safer to use. Say an attacker captures any encrypted data from your machine and learns your password later. He’ll be unable to decrypt the old data. Decrypting only newly captured data will be possible. So, changing your password will protect you against it. Say you want to set-up an internet of things (IOT) device (especially without display) to your home network. First you’ve to connect your phone to a network broadcast by the device. Then you select your home Wi-Fi. WPA3 protocol will make the process easier by making use of a QR Code. Users will be able to connect the device to ‘Wi-Fi CERTIFIED Easy Connect’ network. This will allow them to scan a QR Code on the device with their smartphone. It will connect the device to intended Wi-Fi network. Devices supporting WPA3 protocol will be released later in 2018. Manufacturers have to submit devices for an approval, passing which they’ll get ‘Wi-Fi Certified WPA3’ label. 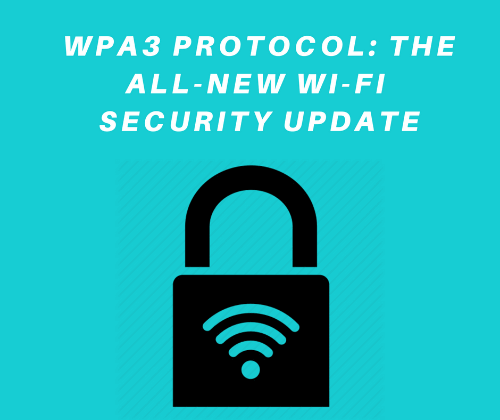 The Wi-Fi Alliance has not announced anything about WPA3 support in existing devices. Note that even after you get a WPA3 enabled router, you’ll need WPA3 compatible devices (phone, laptop, etc). Yet WPA3 will be backwards compatible with WPA2 devices for a while. So you’ll be able to connect to newer routers with older devices in the meanwhile. Yashika is a Scanova Expert who loves to write and share "How-to" articles on QR Code technology. When not writing, she lounges to read mythology and listen to music.